Twenty four years after multiple blasts ripped through Mumbai killing 257 people and injuring over 700, a special TADA court is likely to pronounce the quantum of punishment on Monday, for all six convicts, including key figures Abu Salem and Mustafa Dossa. The Special Court will decide the date for the arguments on the quantum of punishment for the guilty. On Friday, the special court had convicted six persons — Abu Salem who was extradited from Portugal in 2005, Mustafa Dossa, who was deported from the UAE, Mohammed Tahir Merchant alias Tahir Takla, Karimullah Khan, Riyaz Siddiqui and Feroze Abdul Rashid Khan. However, another prime accused, Abdul Qayyum was acquitted of all the major charges. Qayyum was arrested on 13 February, 2007. 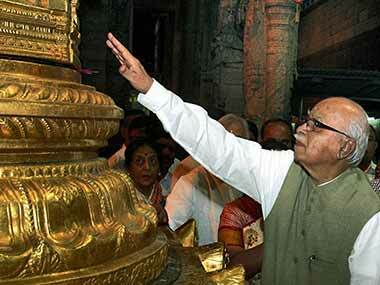 All the seven were acquitted of the serious charge of "waging war against the nation". The seven were present before Special Terrorist and Disruptive Activities (Prevention) Act Judge GA Sanap when the verdict was read out in the open court. The accused have been held guilty of the major charges, comprising conspiracy hatched in 15 meetings in different places including Dubai, creating terror, supplying arms and ammunition, killing, damage to public and private properties, in the blasts carried out at 13 prime locations. 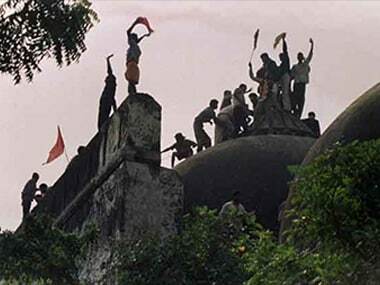 According to Salve, the serial blasts were carried out in revenge for the demolition of the Babri Masjid in Ayodhya on 6 December, 1992, which were followed by the two-phased bloody communal carnage in Mumbai in December 1992 and January 1993. 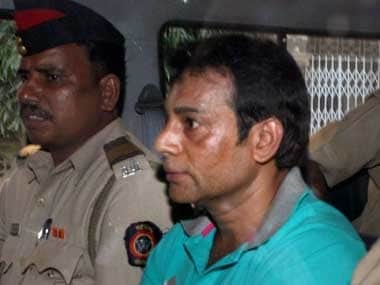 One of the main conspirators, Abu Salem was held guilty of procuring and supplying the arms and ammunition including AK-47 assault rifles, bullets and hand grenades, from Gujarat to Mumbai in early 1993. In 2013, the Special Court had dropped certain charges against him after a Central Bureau of Investigation plea that those were contrary to the extradition treaty between India and Portugal. The prosecution said that members of the Dawood gang along with their local henchmen Tiger Memon, the Dossa brothers and others hatched a conspiracy to carry out the terror acts. Dossa, along with Tiger and another Mafiosi Chhota Shakeel, had organised training camps in India and Pakistan and had sent the men from India via Dubai. He has been held guilty of conspiracy and arranging the landing of the explosives along with his associates in Raigad, of around 3,000 kg RDX which was used in the explosions. 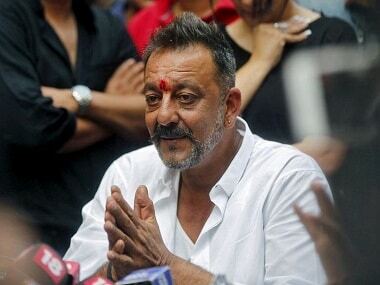 Merchant arranged for the others involved to travel to Pakistan via Dubai for training, while Qayyum - now acquitted — was accused of supplying weapons along with Salem to Bollywood actor Sanjay Dutt. Karimullah Khan has been held guilty of smuggling the explosives into the country through the Shekhadi Port in Raigad, while Siddiqui and Feroze Khan are guilty of transporting the explosives to the targeted sites. Their nefarious triple objectives were to "overawe" the Government of India, strike terror among the people, alienate sections of the people to create communal discord, besides other intentions. For perpetrating their heinous acts, the conspirators acquired and smuggled deadly arms and ammunition, detonators, hand grenades and nearly three tonnes of the deadly RDX (Research and Development Explosive or Cyclotrimethylene Trinitramine), which was used for the first time after World War II on such a scale. 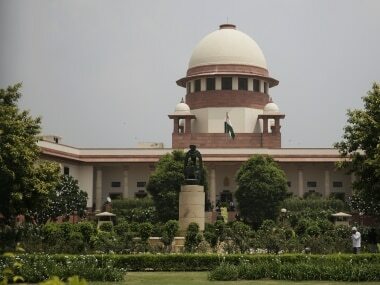 Earlier, in the same case, the Special TADA court had convicted 100 out of 123 accused, including Yakub Abdul Razak Memon, who was hanged on 30 July, 2015. Dutt, who was let off the terrorism charges but tried and convicted under the Arms Act, served his full sentence and was released from jail in February 2016. The present case was conducted separately since the absconding accused had been arrested or surrendered when the earlier trial was at its fag-end before it ended in 2007. On the afternoon of 12 March, 1993, the country's commercial capital was rocked by a series of 13 blasts in quick succession at various locations in the city and suburbs, creating the worst unprecedented mayhem in the country.